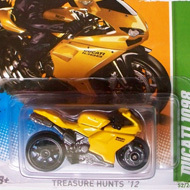 1/15 from the 2012 Treasure Hunts series. 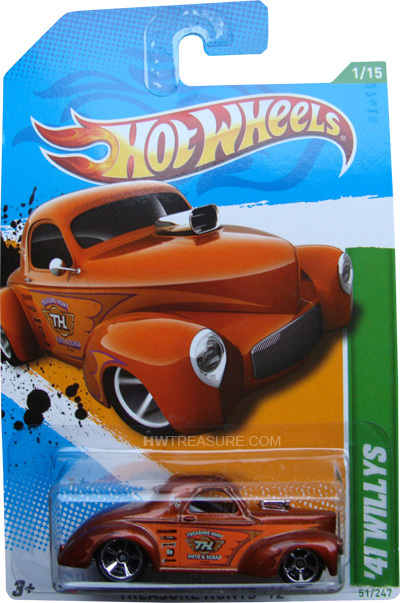 The 1941 Willys has copper metalflake paint detailed with “A/G”, “TREASURE HUNT AUTO & SCRAP”, orange graphics, and a variety of logos on the sides. It has clear windows, black interior, Muscle Car 5-spoke wheels, and a chrome plastic Malaysia base.